We’re used to seeing the Duchess of Cambridge in dresses, gowns and frock coats – plus the occasional pair of skinny jeans when an appearance calls for casual clothing. 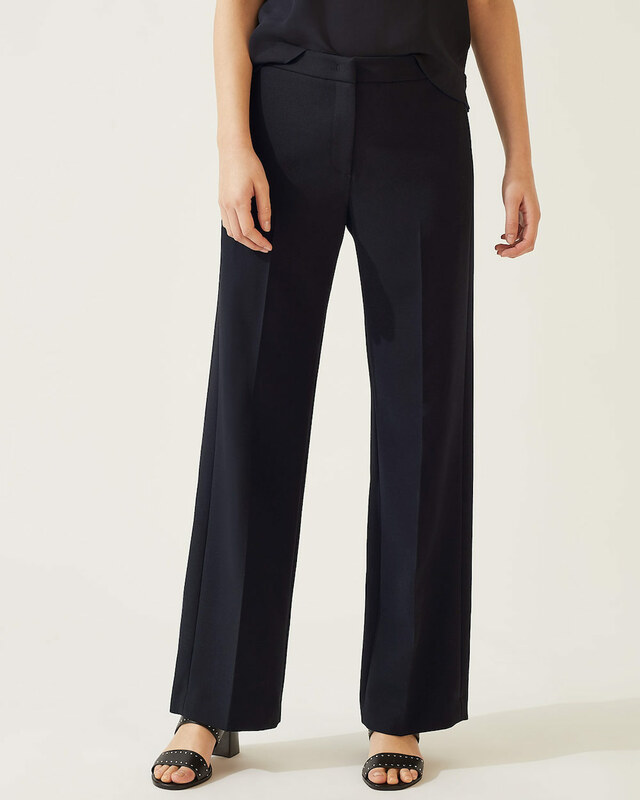 So it was surprising to see the 37-year-old today teaming a pair of high-waisted wide-leg trousers from high street brand Jigsaw, with a trendy Gucci blouse, while visiting a children’s charity in south London. 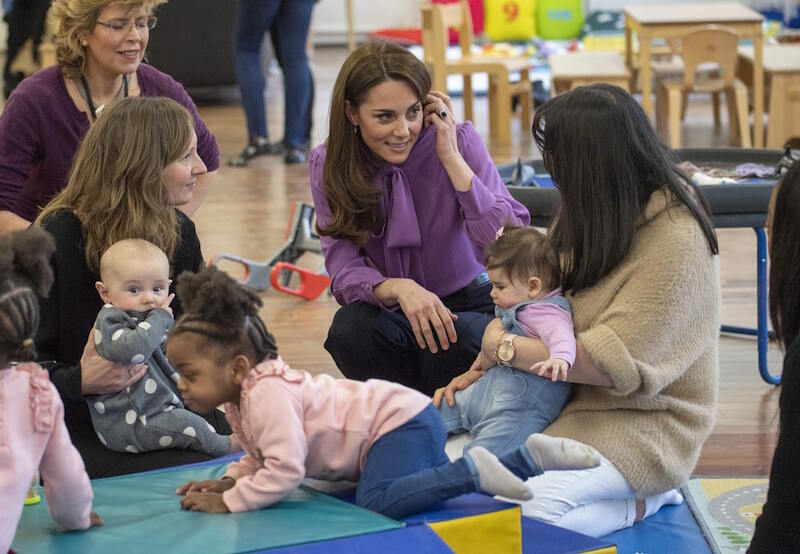 Kate chose the uncharacteristically fashion-forward ensemble for an appearance at the Henry Fawcett Children’s Centre in Kennington, where she chatted to parents and played with little ones. She completed her look with a £495 Aspinal of London Mayfair lilac handbag and black suede high heels. 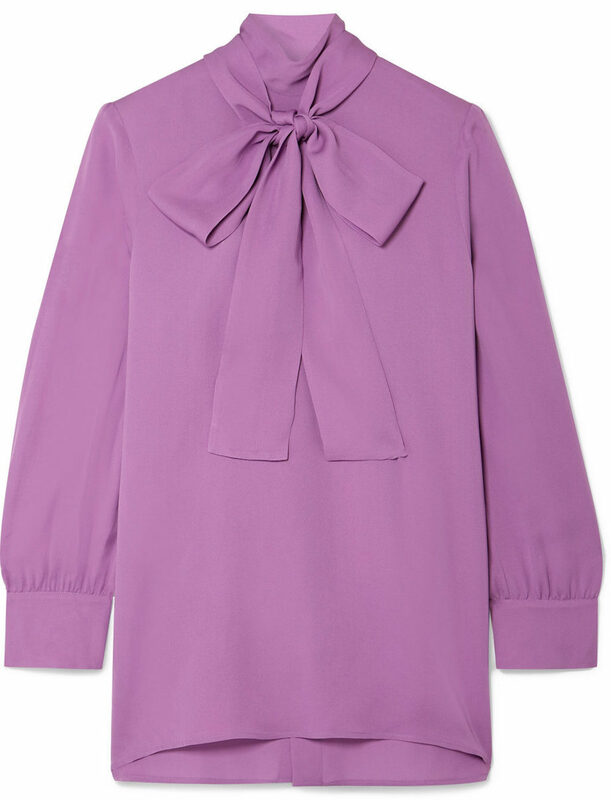 Unlike some of Kate’s custom pieces, this outfit is still available to buy – if you’ve got about £900 (AED 4,327) to spare. The outfit was praised by some fans for being elegant and understated, but others weren’t happy Kate was wearing Gucci, a company that has recently been caught up in controversy around a ‘blackface’ jumper that had to be removed from sale. Some people have called for a boycott of the brand and its clothing. Disappointed to see Kate in Gucci again today. Controversy aside, we’re pleased to see the mum of three switching up her style and trying a new look, especially in winter when she often re-wears the same coats. We’ve increasingly seen Kate trying more unusual outfits and can’t help but think it could be down to the influence of her sister-in-law, the Duchess of Sussex, whose style is arguably more modern. Whatever the reason, it’s good to see Kate pushing the fashion envelope.